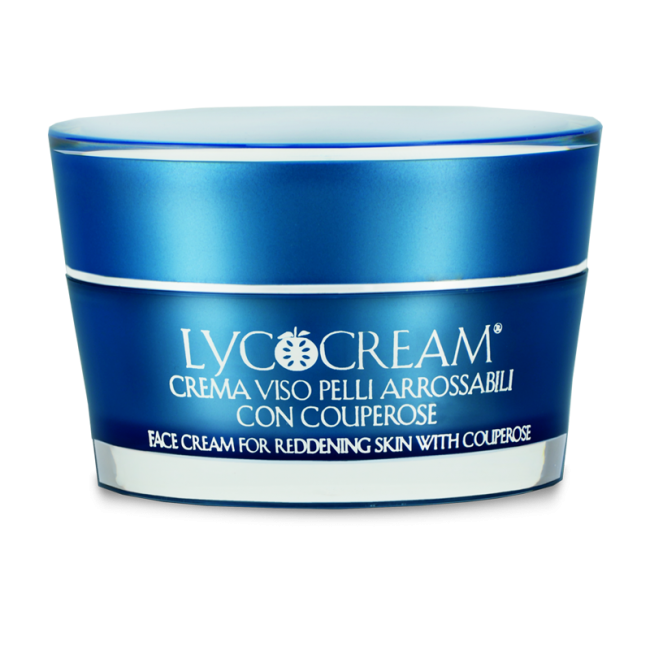 Face cream specifically indicated for skin prone to irritation, reactive and with couperose. 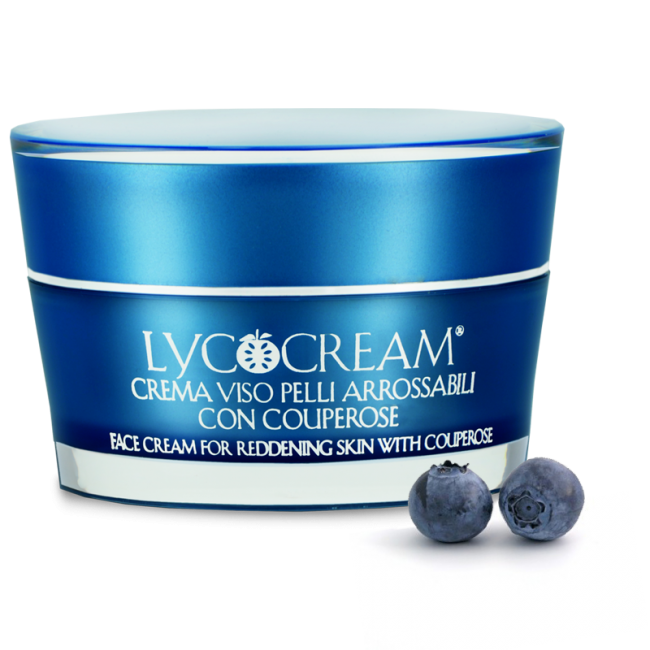 Finibus Terrae Face Cream for Irritable Skin and Couperose is the face cream specifically indicated for skin prone to irritation, reactive and with couperose. Blueberry Extract strengthens the microcirculation and counteracts couperose. Mallow Extract, Chamomile Extract and Hypericum Extract are remarkably soothing and reduce the sensitivity of the easily irritable skin. Hyaluronic Acid and Seaweed Extract deeply hydrate and oxygenate the skin. 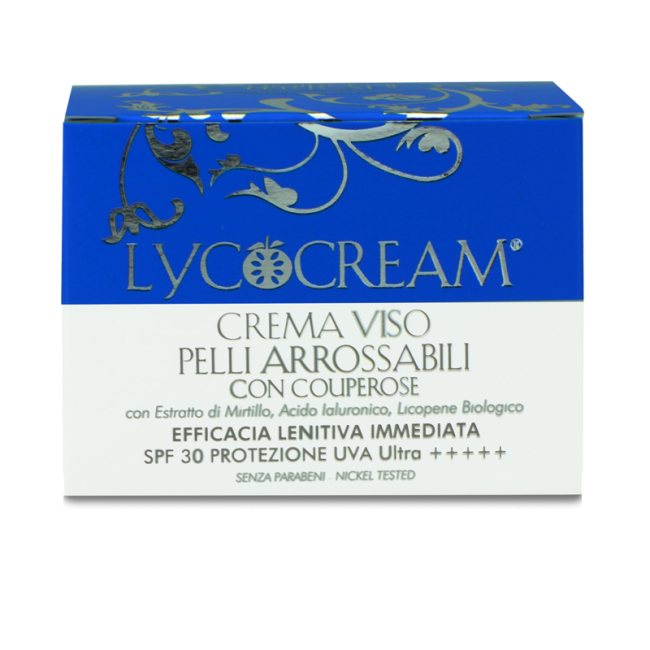 Sweet Almond Oil, Coconut Oil and Hydrolyzed Wheat Proteins nourish the skin, Lycocerasomes protect it from the damaging effects of the free radicals and act as high protection sunscreen. Aqua, Prunus amygdalus dulcis oil, Ethylhexyl methoxycinnamate, Butyl methoxydibenzoylmethane, Cocos nucifera oil, Cetearyl alcohol, Butylene glycol cocoate, Methylene bis-benzotriazolyl tetramethylbutylphenol, Glyceryl stearate, Potassium palmitoyl hydrolyzed wheat protein, Propylene glycol, Algae, Vaccinium myrtillus fruit extract, Carbomer, Hydrolyzed wheat protein, Maltodextrin, Sodium hyaluronate, Tocopheryl acetate, Chamomilla recutita flower extract, Hypericum perforatum flower/leaf/stem extract, Malva sylvestris leaf extract, Retinyl palmitate, Silica, Triticum vulgare seed extract, Lycopene, Parfum, Alpha-isomethyl ionone, Hydroxyisohexyl 3-cyclohexene carboxaldehyde, Butylphenyl methylpropional, Linalool, Coumarin, Limonene, Citronellol, Geraniol, Sodium hydroxide, Phenoxyethanol, Benzyl PCA, BHT.